When a potential employer reads over your resume for a position, they may turn to their computer and type a quick Google search of your name. Whether they find you does not matter, what matters is that if they do find you, they’ll find your social media pages, specifically Facebook. There they will either see recent photos of that crazy party where you surfed your mates roof on a mattress while drunk or cutesy photos of you on the first day of high school. 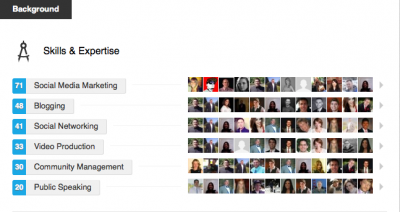 If you want that job, you need a refined LinkedIn profile. You may even have potential customers or clients looking at your LinkedIn profile and wondering if you’re the right person for the job, but they won’t be satisfied with a tad of info and an unprofessional photo. 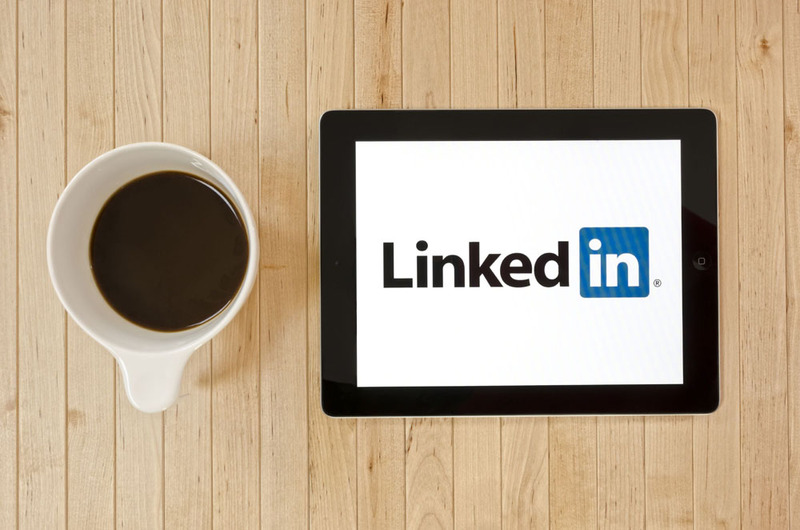 In this article, we will be taking you through our top tips for creating a professional LinkedIn profile. What to understand about LinkedIn is that it is the virtual professional world; it’s the mainstream online professional directory. If you would like to be taken seriously online, you need to look like you mean business. Secondly, turn off the publishing of notifications feature on your profile when editing. This saves a great deal of embarrassments by preventing your profile updates from spamming your connections’ feeds. The button is on the right-hand side of your profile’s edit page as seen in the image below. Well, don’t literally rock in your photo — people don’t want to see your fancy dress to that 80s party a while back. What you will need is a professional image, one that says, “hey, I’m a great, established worker and I would love to work for your company”, or “hey, you can trust me to fulfil your professional needs”. One that says “come see how good I look”, best fits other social media pages. Choose a photo from your collection that shows your face and shoulders clearly and preferably one that you’re smiling, facing the camera, and maybe has a nice background. You can also get one professionally done by a photographer for a small fee, or even take one yourself with your mobile phone or camera. As well as the profile image, you may like to add a background image to your page. Choose something that you like, that’s not a pop culture reference or meme, but rather a nice environment, like some flowers, or a cityscape, or you may just want a nice colourful banner that exerts a certain tone. If applicable, you could possibly use your small business’s logo/colour palette to accompany the profile and bring emphasis to it. Your title is the line that appears under your name, and one of the most important pieces of information on your LinkedIn profile. This is what people will see when they initially search your name on LinkedIn, so make sure that it is succinct and readable — people want to know who you are and what you do in one second. Your contact info is the button to the bottom right of the head section. This little button is also one of the most important buttons on your LinkedIn profile simply because it is the direct connection between you and a potential employer or customer. If they want to contact you, this is how they will get to it, so ensure that you have a proper mobile phone number, link to your website(s), and email–definitely not your first email; you know what I’m talking about, xfunkblasterx. What you do today — you, your role, and a little bit about the business. What you did for work before — small bio of your achievements at this place. Who you are — Be personal. Inject your personality. Your LinkedIn profile is not a resume or CV, write as if you are having a conversation with someone. Let people know your values and passions, and discuss what you do outside of work. You want people to want to know you. This is personal, it humanises you and gives a little insight to your personality. Following onto your summary, your experience is the detailed section where you can show what you do for your current and previous employer(s), essentially indicating what you can do for your future employers. Adding a description to each of your positions is a necessary step in making sure that it is engaging the reader. For the first paragraph, write about the company, what they do and have done, and what they stand for. In the next paragraph, write about your role responsibilities in detail — not as a list, but as if you’re explaining your job to a person. LinkedIn provides an option to include certain types of media in some profile sections, and this would be the most relevant section for it. You can add photos, videos, presentations, documents, or links to accompany and corroborate your previous experience, but be careful not to make the media irrelevant when attaching it to your information — you don’t want a picture of you and your manager on the job, or a copy of your training manual. As well as just having the experience, something that can give you the upper-hand when being viewed by a potential customer or employer are recommendations. By simply asking a previous manager/boss through a polite email or phone call to give you a short recommendation on your LinkedIn profile can definitely make you seem a whole new kind of professional. This section offers your viewers the important brevity that they need — they want to know what you know. A clean and detailed skill section gives the viewer just what they want. Now, detailed does not mean that you add “Blog”, “Blogger”, “Blogging”, “Bloggering”, and “Tumblr”. Be succinct, show what you can do in short phrases: “Blogging”, “Creative Writing”, “Customer Service”, “Marketing”. Endorsements are also a significant aspect that employers or customers will look for, these show that you actually possess the skills that you say you have. Talk to current and previous colleagues and endorse each other, it’s a win for both of you. Your education section is easy to fill out, but it doesn’t hurt to go the extra step and write a bit about what you did well in your studies (and that doesn’t mean “Best Speller in grade 3”). Some employers look for distinctions in certain subjects. The lesser known but just as important information are the extra sections of your LinkedIn profile. Include that you know another (or multiple) language(s), honors or awards that you’ve received (not “Best Speller”), courses and certifications you’ve completed, projects you’ve worked on, or even a section of advice for contacting, if you’re a constantly busy bee. Add your test scores if the jobs you apply for require them. People want to know these things if you offer them. Now that your LinkedIn profile is clean, thorough, and well-established, you can relax and unwind, but don’t forget to let people know that you’re still alive. One way to achieve this is to constantly post about recent news–whether about yourself or general affairs–which lets your viewers know that you’re down-to-earth as well as up-to-date. Lastly, continually engage with others by liking and commenting their posts/articles, following companies you admire and liking or sharing what they post. This shows that you’re actively interested in what they’ve got to say (especially your dream employers). If you think your business is lacking some LinkedIn profile flair, have a read of our awesome guide — How to Boost Your LinkedIn Presence.